(AL-WARIS TRADERS) believes in relationship than salesmanship. Our company specializes in imported vehicles purchased directly from Japanese auction. Since inception (AL-WARIS TARADERS) has worked on the philosophy as car consultant rather than car dealer hence we get the maximum value of money for our clients. Set your Alerts for Mitsubishi Mirage in Islamabad and we will email you relevant ads. 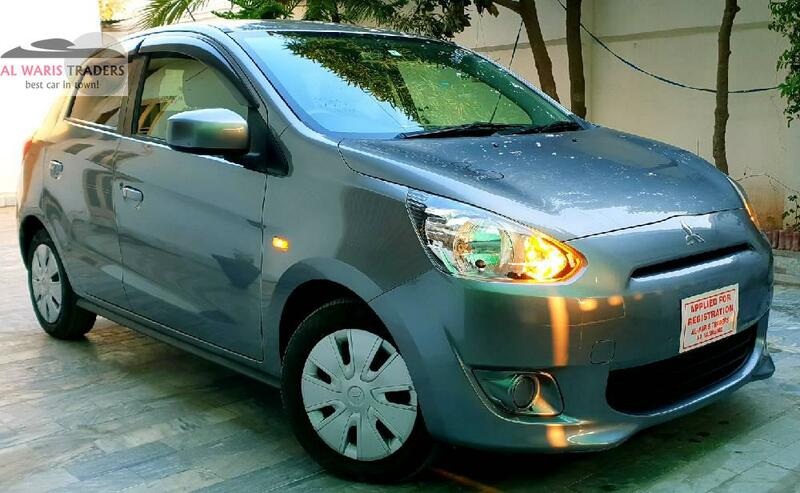 Hi, I am interested in your car "Mitsubishi Mirage 1.0 G 2015" advertised on PakWheels.com. Please let me know if it's still available. Thanks.